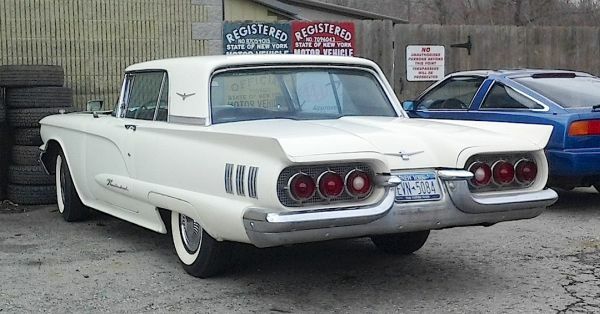 This 1960 Ford Thunderbird, seen just last week in Youngstown, represents the third and final year of the ‘Bird’s first foray into the back seat business. Purists were up in arms when the two-passenger version grew a back seat for MY 1958, but the numbers proved that Ford knew what they were doing. Sales of the ’58 were more than 50 percent higher than the previous year. Purists be damned! Jim Corbran, RRofWNY …and check out our Facebook page: Non-American Classic Cars The post RealRides Of WNY appeared first on Buffalo Cars.